A positive experience of going to the dentist at an early age tends to last for life. The unfortunate reality is that the converse can also be true. 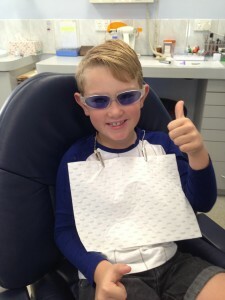 From this perspective, we regard children’s dentistry as an extremely important part of what we do. As such, we like to get to know our young patients and we do our utmost to make everything as pleasant as possible for them. Most kids have their first dental appointment at the age of 2. However, we are of the opinion that the earlier children start, the better. We employ a non-invasive and gentle approach, allowing you to stay with your children during the session. By getting used to such visits from an early age, your children will begin to look forward to going to see the dentist! We sometimes hold information evenings covering topics such as pregnancy and children’s dentistry. Please feel free to get in touch if you are interested in attending.